A few first international and domestic flights operate out of the new airport in Istanbul. The full switch is planned for January 1st, though... we'll see about that. After the full transfer of operations from Ataturk to the new "Istanbul Airport" (as it's called – though sooner or later it'll probably end up with the name of the current president) - the airport code IST will be moved to the new airport as well, and Ataturk will be closed for good. 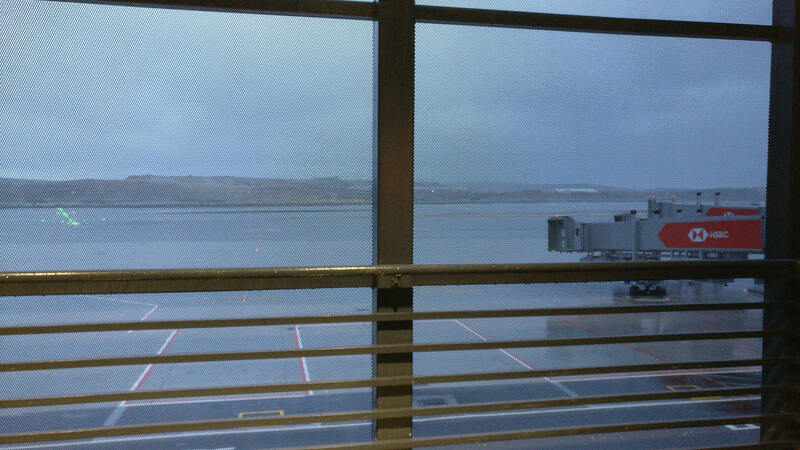 For now, the new airport's code is ISL. Anyway, Concourse F is the one that looks pretty finished (while only bits and pieces of the rest of the airport are already functioning). It looks like every gate arm will have at least one smoking area, probably located in similar locations in each gate arm. 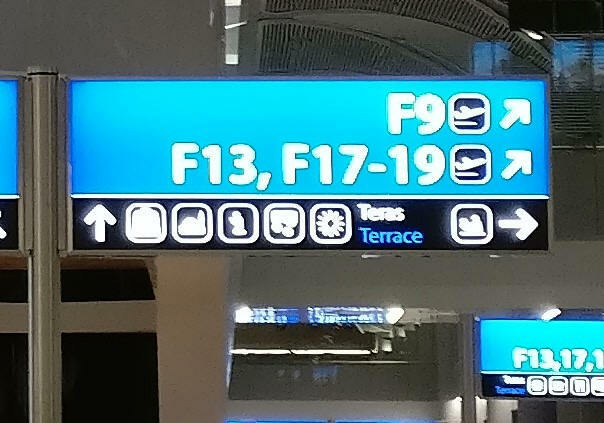 The smoking area for the F gates is located between gates F9 and F13. Like in Ataturk, the signs to the smoking area say "Terrace", since according to Turkish law they must be located outside. The icon is… well, something round, might be a sun, might be a cog wheel. The style and build is just like at Ataturk - a fenced off box. Entrances are from both sides, and there's a small corridor that's behind glass (technically inside the airport) where you're probably not supposed to smoke, but everyone does (in the pre-opening period, most of the people there are working at the airport anyway). Emirates Lounge: I didn’t manage to check the existing areas, but DID find out that the whole upstairs of the Emirates business class lounge in IST is a smoking area… And quite well ventilated. Feedback from Tom A. on the 9th Aug 2018. 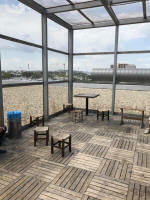 Photos of smoking area near Gate 227 are below, provided by Shankar S. on the 18th Aug 2018. The two on the upper restaurant floor (signposted as "terrace"). One next to Carluccio's, the other nearby and a bit further right. 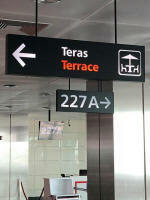 The third one is located toward the gates 7xx, also signposted as a terrace, not far from gate 227. Stairs go up from next to a small cafe. Feedback from Rene on the 2nd July 2018. Official Feedback from airport provided by "afterambeforepm" on the 18th April 2018: Please note that there are two smoking areas at the International Terminal of Atatürk Airport. To clarify the location, we’d like to let you know that both smoking areas are inside the transit zone on the departures floor, one inside the Kitchenette Restaurant at the food court area the other on the mezzanine floor. Our staff at the information desk on the departures floor would also be pleased to assist you in case of a need for further directions. After customs in the international terminal of Istanbul Ataturk airport there are smoking spots, just follow the signs Terras. Feedback from Rudy on the 2nd March 2018. 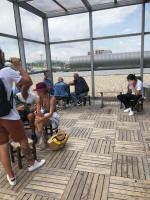 You can smoke on the terrace in the SKY Restaurant area beyond the passport check point on the International Departures floor - Feedback provided by Sadik on the 23rd June 2017.